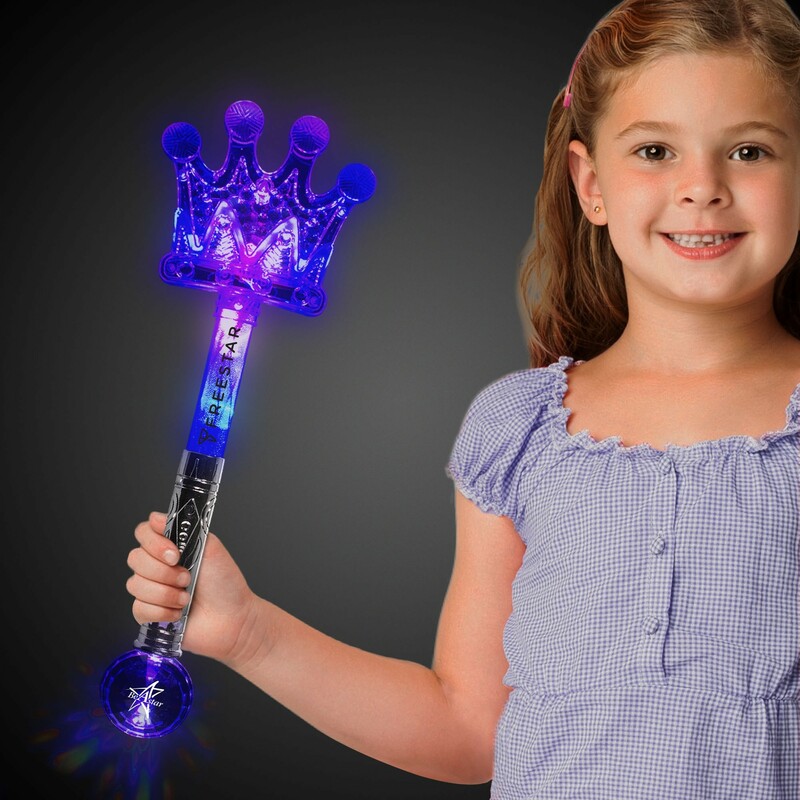 Our 17" LED Silver Crown Wand is sure to delight your little prince or princess on their birthday. 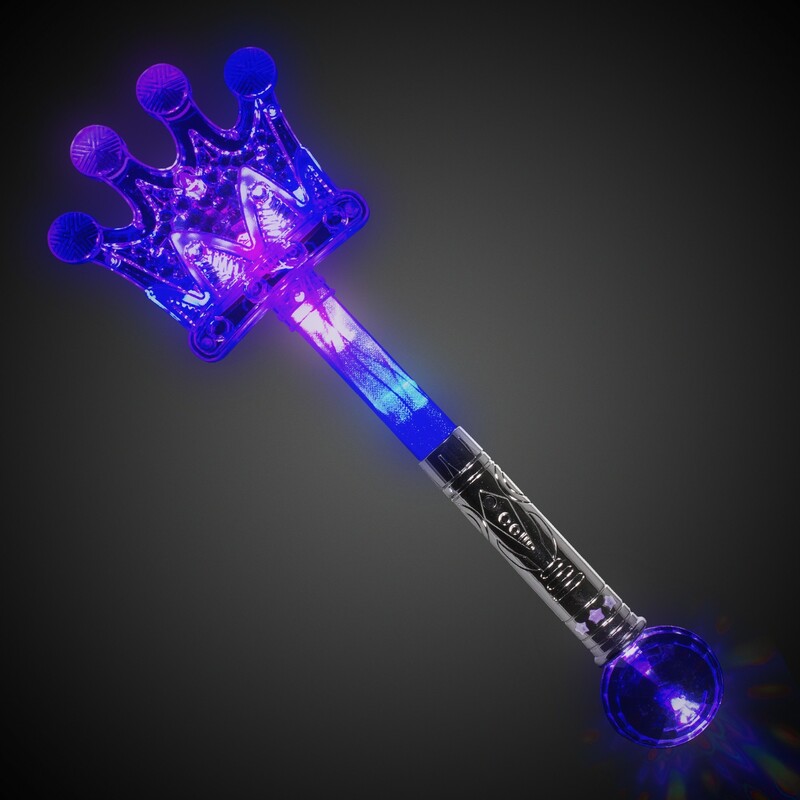 Each LED wand has a clear plastic crown and prism ball with a silver handle reflecting bright LED lights in blue, white, and pink. Change from fast flash, slow flash, and multi-function modes with a simple push of a button. 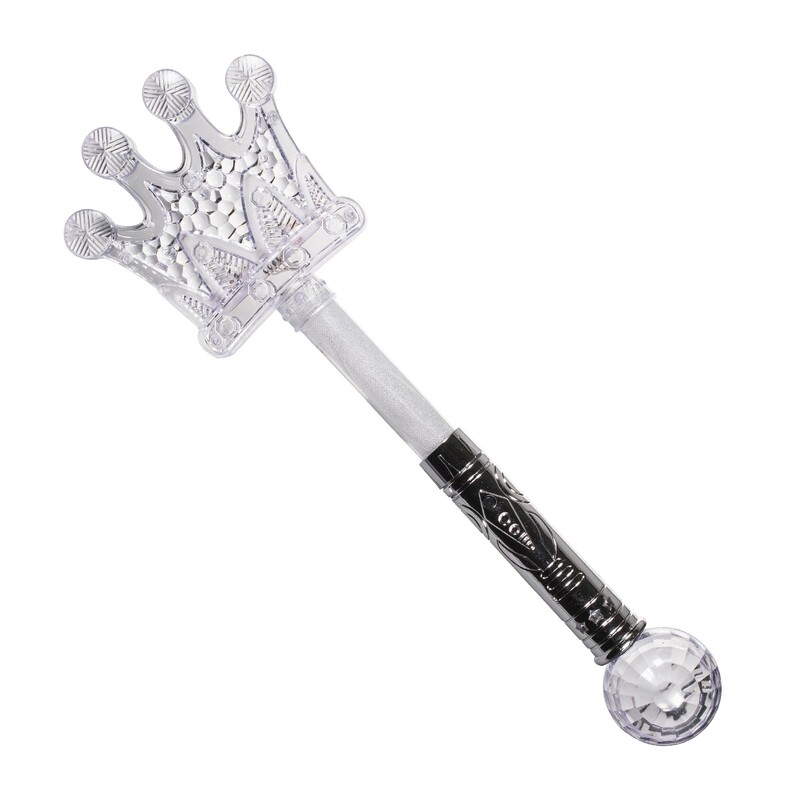 Each jumbo 17" LED Silver Crown Wand comes with 3 replaceable AAA batteries already installed.